We’ve also been gorging ourselves on strawberry shortcake (my husband makes a mean sprouted flour biscuit — I really have to get him to share his tips and tricks with you. Um… and me!) and strawberry just about everything else. What is your favorite ways to eat strawberries? And you haven’t been tossing — or even composting — those strawberry tops, have you? [Um… guilty; I’ve been composting mine.] Did you know that you can dry them and then use the tops to make tea? Seriously! Learn all about Drying Strawberry Tops from the Pixie’s Pocket. And as long as we’re talking about things that should not be going into the compost, here are (for real) 10 Things You Never Want to Compost from Imperfectly Happy. For example — and I’m not quite sure how we’re going to finish the project — we are learning about Cinderella. Okay, it began with the kids squabbling about what movie they were going to watch and me stepping in and saying that I was going to pick… and I picked Ever After, an excellent but under appreciated movie, in my opinion. The kids have since read the Grimm Brothers’ and Perrault’s versions of the story. Up next… Disney’s Cinderella (naturally). Then I think we’ll be leaving Western Europe for other Cinderella stories, starting with Mufaro’s Beautiful Daughters, which is a fabulous “Cinderella story” from Africa — with gorgeous illustrations besides; I highly recommend it! Thank you for joining me for My Week on Wednesdays. Tell me, what did you do this week? I’d love to hear! Also, if you haven’t already, be sure to come visit me on Facebook and follow me on Pintrest! And don’t forget to join me tomorrow for Thousand Words Thursday! 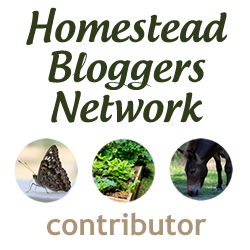 And, on Friday, link up with the From the Farm Blog Hop, of which I am now a proud host! Phew… busy, busy! So, what did you do this week? Please tell me; I love to hear! Thanks so much for mentioning our strawberry dressing – the kids actually asked if we could have salad tonight. Sweet! oh, I love that CS Lewis quote! thanks Christine for telling people about my post on ‘how to make your own smudging stick”. I really appreciate it. I love your blog! 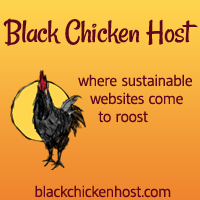 Lets share each others wisdom, joy, and hard work of homesteading.